Girls living in poverty in Africa often miss up to a week of school every month once they reach puberty because of their menstrual period. The reason for their absence from school is multifactorial and includes lack of appropriate sanitary products and cultural beliefs associated with menstruation. This absence severely affects their education as schools are seldom responsive to the situation and offer little or no opportunity for the young women to catch up the work they miss. 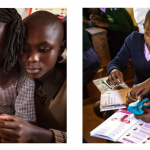 Global School Partners (GSP) ran a trial Young Women’s Program in 2017 in three schools and an orphanage and the program reduced absenteeism due to menstruation by an average of 88%; it increased understanding of menstruation as a natural part of a women’s life and increased the self confidence and wellbeing of the young women involved. 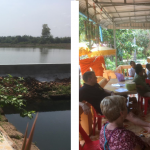 GSP have partnered with Pad Heaven who manufacture the washable sanitary pads and have developed the education and training program and resources. Pad Heaven is a Kenyan solution developed by a Kenyan entrepreneur for Kenyan women. 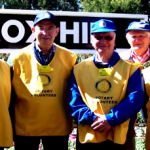 The Rotary Club of Balwyn has provided funds towards this valuable initiative.